Duncan Sheik: Revival, Classic, or New – He’s Done It! A bona fide theater artist since winning two Tony Awards in 2007, singer-songwriter Duncan Sheik is having his busiest season yet. His revival of Spring Awakening opened to critical acclaim on the Main Stem earlier this season, he composed a score for a production of Brecht’s Mother Courage and Her Children Off-Broadway at Classic Stage Company in January — and now, his highly anticipated American Psycho is about to have its North American premiere! NY1 theater reporter Frank DiLella caught up with Sheik to chat about bringing Patrick Bateman, a.k.a. the title character in the musical, to life on stage. Frank: So much theater for you this season, with the Deaf West’s revival of Spring Awakening, Mother Courage at CSC and now the North American premiere of American Psycho. How does it feel to be back in the theatre — and in full force? Frank: Where did the idea of transforming American Psycho into a stage musical come from? Duncan: It actually came from one of our young producers on the project, Jesse Singer of Act 4 Entertainment. He had been a fan of the book and movie and had this crazy idea of trying to get this into a stage musical. And he got the rights from Bret Easton Ellis [the author of the novel] in 2009, and he got in touch with our book writer, Roberto Aguirre-Sacasa about writing the book soon after. And then he got in touch with me in early 2010. And I was a little reticent about it because even though I was a fan of Bret’s, at first blush I didn’t know how American Psycho could even be a musical. But I was flying to Japan and I had a lot of time, so I decided to reread the book, and I hadn’t read it since college. I read the book and I thought, This book is so ahead of its time, and cool, and there was so much music in it. There’s a lot of context of where there would be music because they’re always going to nightclubs — it’s the late ’80s in New York — which was like when I was going to Brown University. My roommates were all these New York guys, and we would go clubbing in New York in college. And I knew that environment really well. It’s this interesting dichotomy of these Wall Street guys who would show up there, and then the younger kids who would be at the clubs, and what that musical energy was like. And so I thought this could be a great opportunity to do a musical that would be in some way the first electronic dance musical. Electronic dance music [EDM] is now popular in the States, but for 20 years it’s been the biggest form of pop music in Europe — it’s like we just caught on to it — and it’s what people listen to. So I thought it was a great opportunity to push the boundaries of what musical theater music can be stylistically. Frank: The show was a hot ticket at the Almeida Theatre in London from December 2013 until February 2014. Why did it take so long to move it to Broadway? Duncan: That’s a question that I often ask myself. [Laughs.] And if I had my druthers, I would have brought it over right to NYC. But there were a lot of complications regarding, Would the London cast go to the West End and then come to New York? There were all kinds of scenarios that were floated, and because of people’s schedules and the schedules of our great London cast, it became logistically unfeasible. And in a way we had to regroup. Look: It’s American Psycho, so it makes sense. When we do it in New York, we have an American cast, and it just took a while for the creative team and our schedules all to match up and come together. 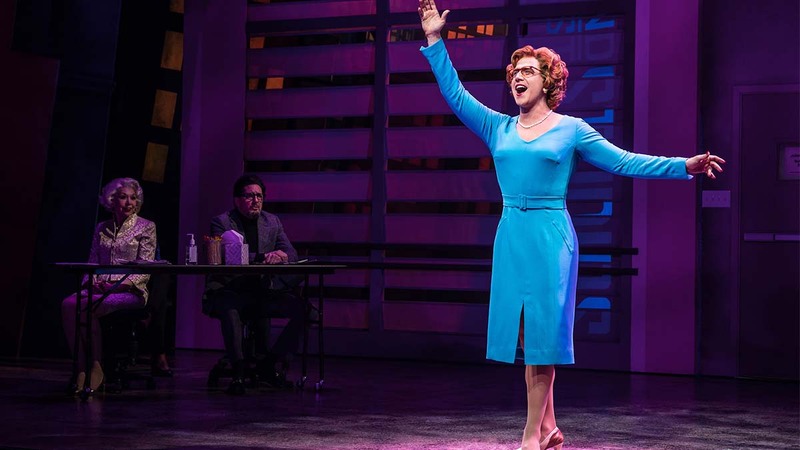 Frank: The musical really brings to life a time gone by in NYC — the 1980s. What was your favorite part of NYC in the ’80s? Duncan: I was either lucky or unlucky enough to have these friends where we would go clubbing in New York every weekend — M.K., Mars, and all these places. And although we were slacking off and not getting any work done, we still had a really good time in New York! Frank: Can you talk about creating an original sound for the show and being influenced by ’80s pop music — with lots of synth, of course! Duncan: I think the score is an amalgam of things that are specifically and sonically from that time, like using drum machines and synthesizers that were popular in the mid- to late ’80s. Very kind of specific things that would have been used in dance music tracks of the era. But I also combine that with much more modern technology, specifically using this software that was developed in Germany for DJs over there, and now it’s used for many applications. It’s an amalgam of EDM sounds of the ’80s mixed with contemporary stuff. I’m not being precious about it at all; I’m just trying to create a cool score that matches the kind of amazing visuals that director Rupert Goold and our team have put on the stage. Frank: There’s also a nod to some of the top hits of the 1980s — cover songs, if you will — in the show. Duncan: There are. I always felt like that there are specific artists who were mentioned in the book, where we had to use their music in the show, but I wanted to find a way to reimagine it in some way. So most of the cover songs that we do — whether it’s Phil Collins’ “In the Air Tonight” or The Human League’s “Don’t You Want Me Baby” — there are only five cover songs in the show now, but most of them are done completely a cappella as big choral arrangements or with very minimalist music in the back. So they are mostly done in a sort of Goth kind of way, keeping with the theme of Patrick Bateman being a psychopath. Frank: Speaking of Patrick Bateman: In London you had Matt Smith, in New York it’s Benjamin Walker. An old pal? Duncan: Ben and I go way back. He was one of the original Melchiors in Spring Awakening when we did it at Lincoln Center in 2005, and he’s grown so much as an actor and singer since then. We did a workshop of American Psycho in New York in 2010 — which Ben did, and this was a couple of years before the London production — and we all held on to his performance in some way, and his charisma. And it’s really a delicate balance because Patrick is an antihero, but you have to some way be charmed and entertained by him. Ben walks that line in this amazing tightrope artist way: He’s murdering people, but he’s so funny. 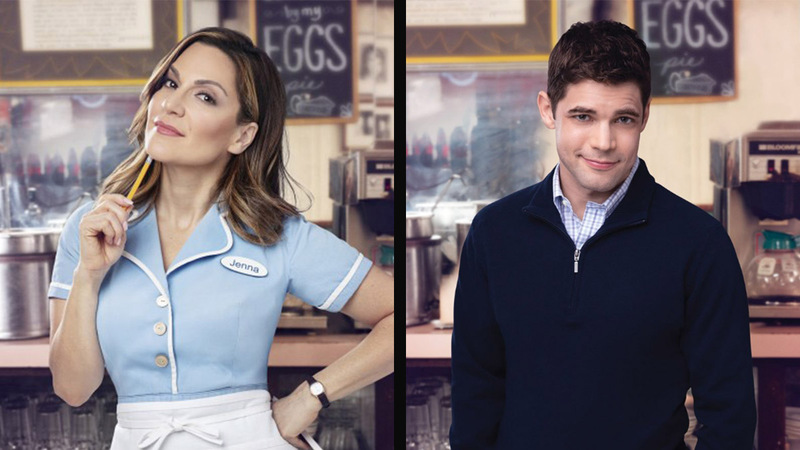 Frank: For musical theater fans, you’re also reuniting Tony winner Alice Ripley with Jennifer Damiano. They played opposite each other in the Pulitzer Prize–winning musical Next to Normal. Duncan: I go way back with Jen too. She was in the original cast of Spring Awakening and obviously has done a lot of great stuff since then. She’s such a good singer, and she has a special voice and this great unique quality. And she was always the perfect fit for Jean, Patrick Bateman’s secretary. And Alice — who I only recently met, but I was completely honored in a way that she wanted to join this cast. And now, I’m almost, like, frantically trying to figure out how can we get her part more in the show. So we’ll see how that develops. Frank: In London, the show fit so well in the intimate Almeida Theatre space. 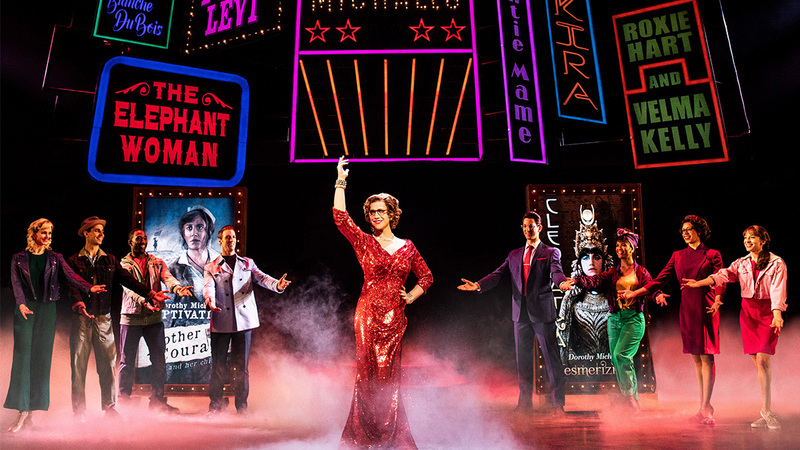 How do you see it fitting on a larger scale at the Schoenfeld Theatre on Broadway?